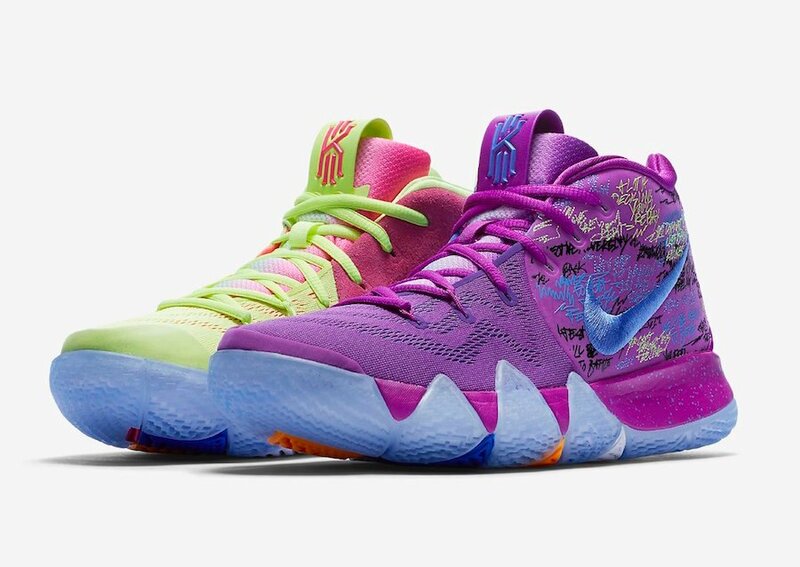 The Nike Kyrie 4 is Kyrie Irving’s fourth signature shoe with Nike Basketball. 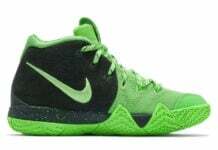 Kyrie will wear his latest signature shoe during the 2017-18 NBA Season while playing for the Boston Celtics. 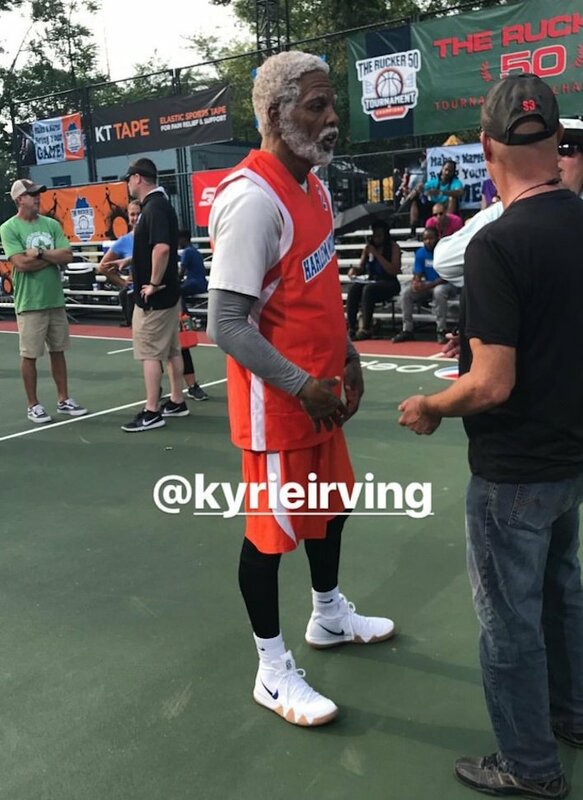 Kyrie Irving is currently filming a new Uncle Drew film alongside some superstars like TNT’s Shaq, Chris Webber and Reggie Miller. Also on set is WNBA legend Lisa Leslie and actor Rob Williams. 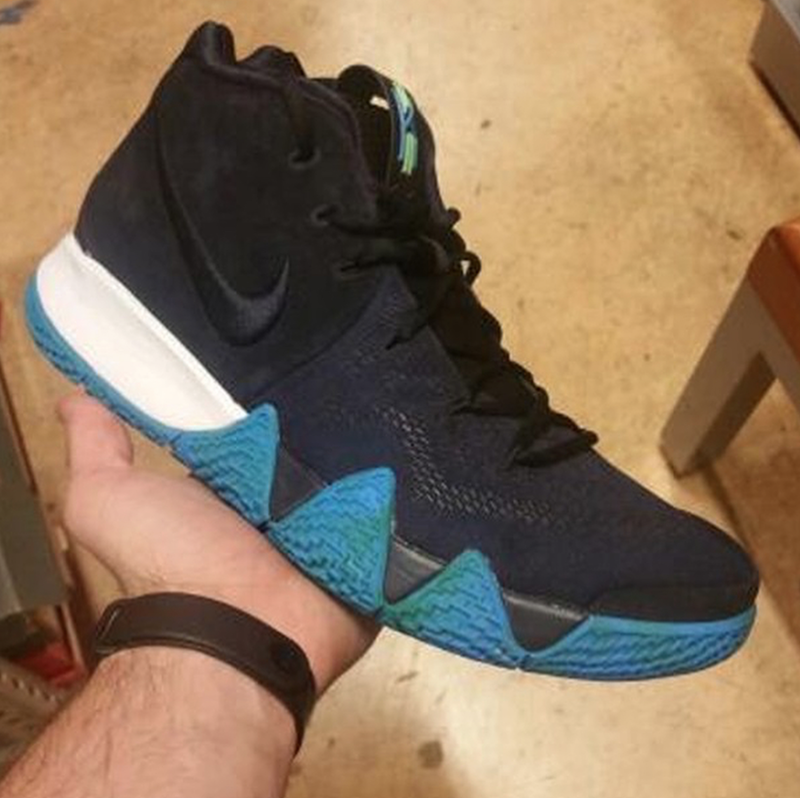 This is where we receive a first sighting of the Kyrie 4. 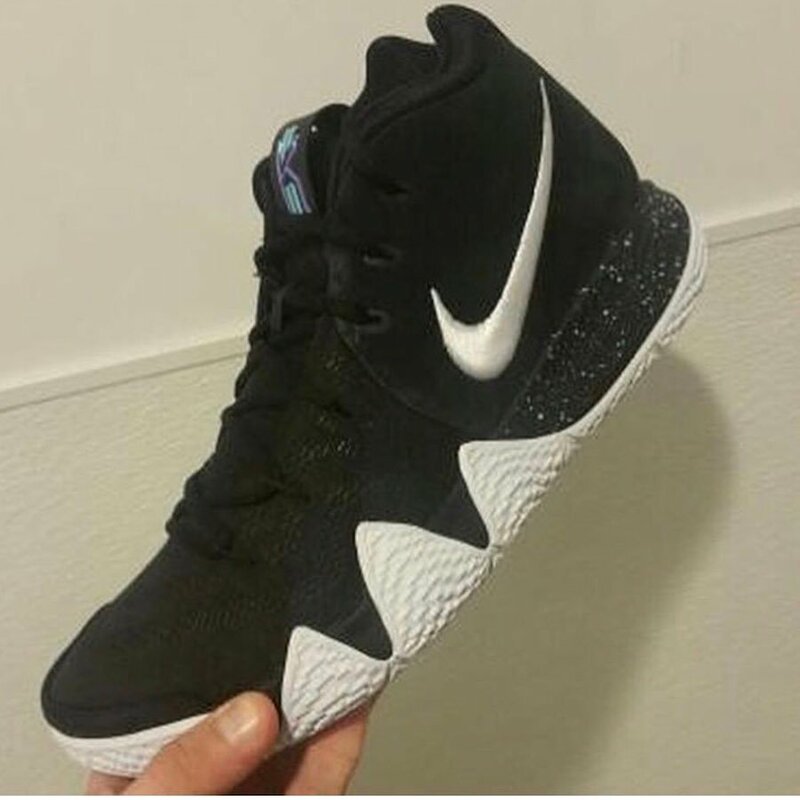 While specific tech details for the Nike Kyrie 4, it appears that they have a similar feel compared to his previous signature shoe. 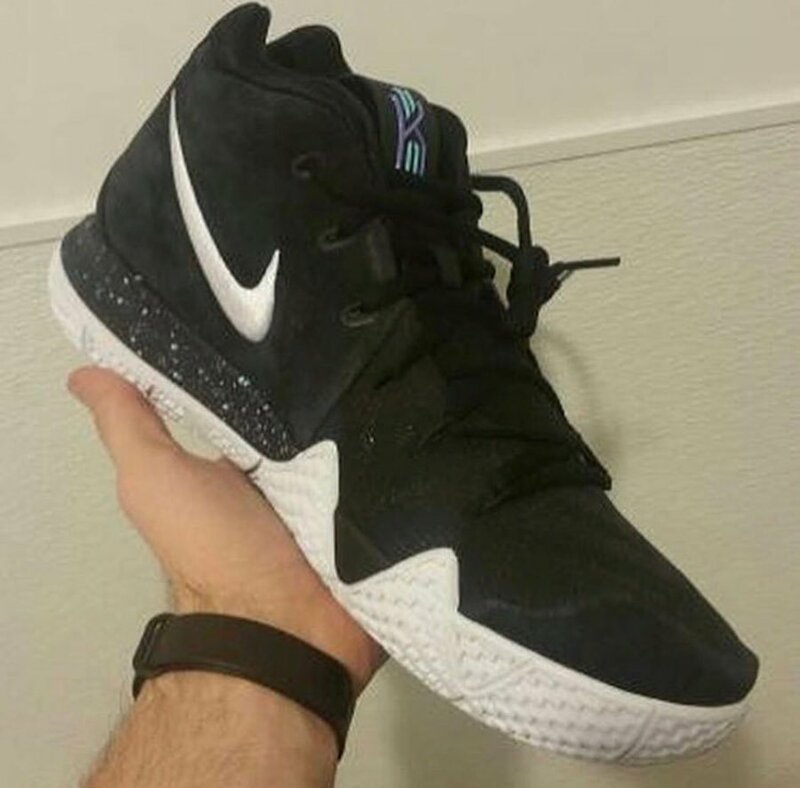 Kyrie branding is seen on the tongue while a large Nike Swoosh is displayed on the side. 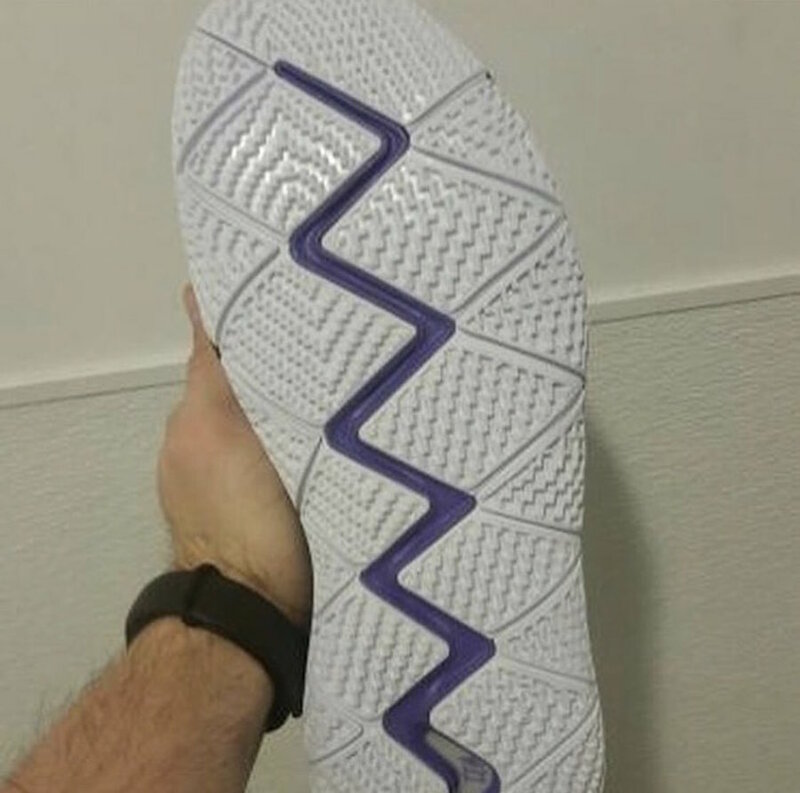 Following we have a unique design that comes on the midsole. 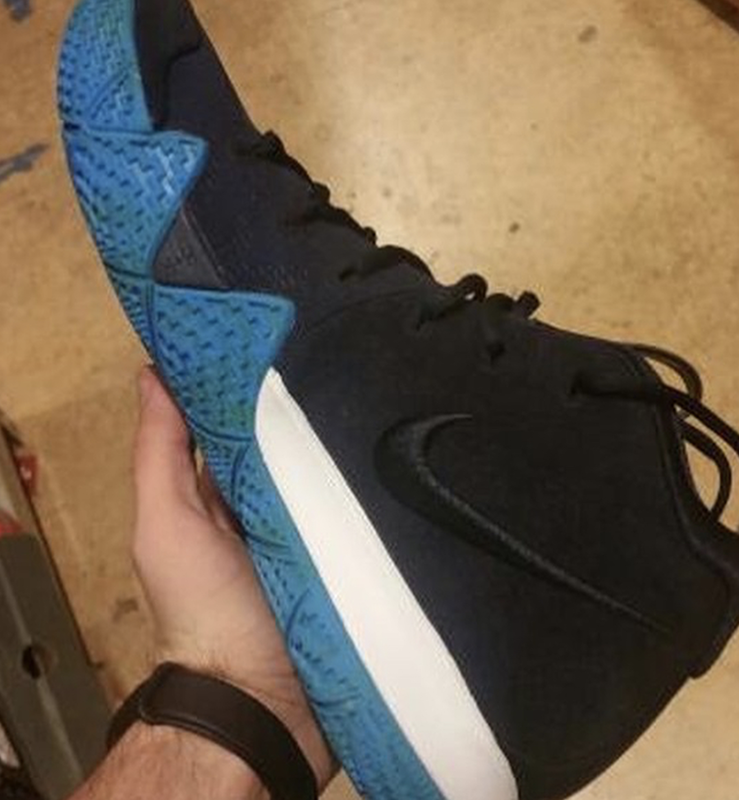 The first color option spotted could be the ‘Uncle Drew’ edition which comes with White across the base, Blue on the branding and Gum on the outsole. 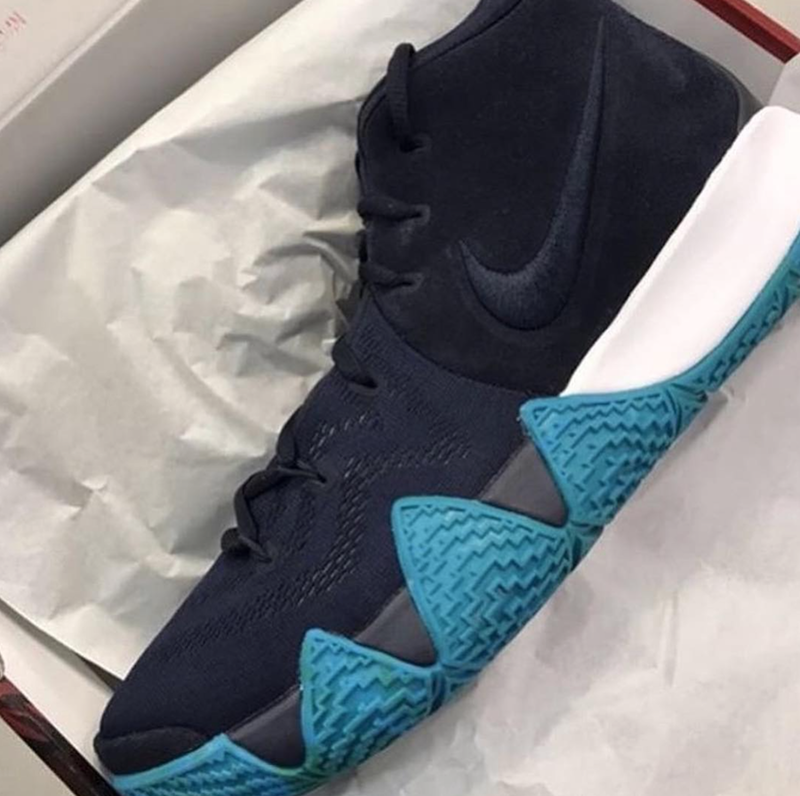 The first Nike Kyrie 4 scheduled to release which comes in Light Racer Blue will release on December 16th, 2017 at select Nike Basketball retailers like Foot Locker. Retail price is set at $120. 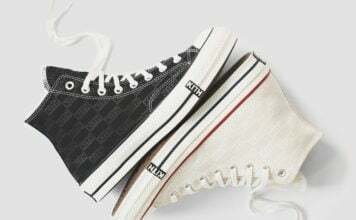 Once we have more information and images of new colorways, we will make sure to update you. 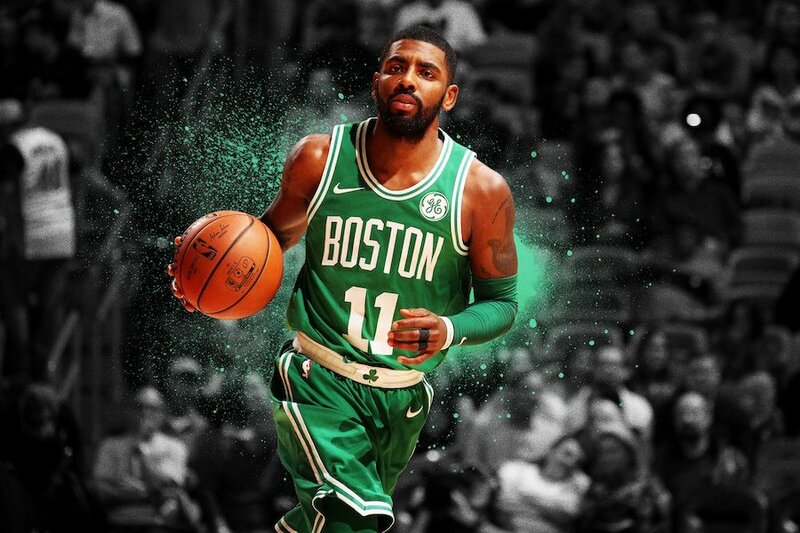 Update: Kyrie Irving has introduced the Nike Kyrie 4 while officially saying goodbye to his third signature shoe. He gives us another preview of the ‘Confetti’ Nike Kyrie 4.